Enhance Your Outdoor Living Space Shop for Hot Tubs, Swim Spas, Barbque Grills, BBQ Islands, Grilling Accessories, Patio Furniture and more. With over 25 years of experieince, Carddine San Diego Hot Tubs and Spas has what you need for all your outdoor cooking and entertaining needs. Shop all popular hot tub and swim spa brands like Maax Spas, Maax Swim Spas, Catalina Spas, Catalina Swim Spas, Viking Spas, Dreammaker Spas and more. Thinking of adding an Outdoor Kitchen or BBQ Cart to your outdoor living space? We have the best selection of Outdoor BBQ Islands and BBQ Grills. Shop from brands like Bull Outdoor Products, Green Egg, Challenger Designs and Traeger Grills. Transform your outdoor living space with a beautiful fire feature. We carry a wide selection of outdoor heaters, fite pits, fire tables, fire walls amd fireplaces. Carddine can can help you make the most of your outdoor living space. Stop by one of our showrooms to see the best and largest selection of gas grills, bbq islands, hot tubs and swim spas in San Diego, San Marcos and Temecula or call toll free at 866-946-8882. 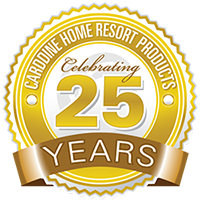 Carddine Home Resort Products has been transforming backyards into private resorts for 25 years. We have seen a lot of hot tub, grill and patio stores come and go in that time. The reason Carddine is still around is not just because we sell quality products at great prices, but because we value our customers.